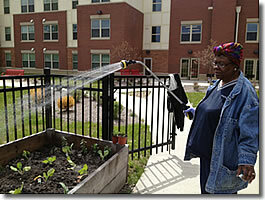 CMHA utilized a portion of a 12-acre brownfield site adjacent to its Campus complex to install a one-megawatt solar array. 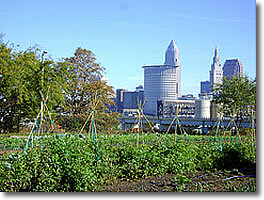 The output of this array is interconnected to The City of Cleveland’s municipal power company. 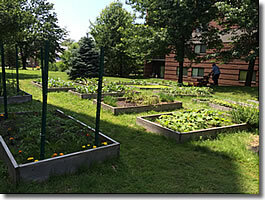 The solar array was completed in 2012 and to date has produced over 6,500,000 kilowatt hours of electricity, and has offset as much carbon as planting more than 115,000 trees. 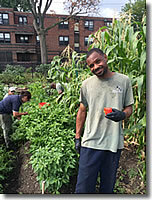 See how much we're producing right now! 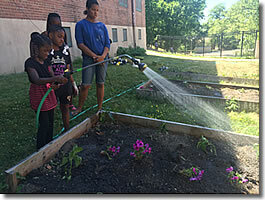 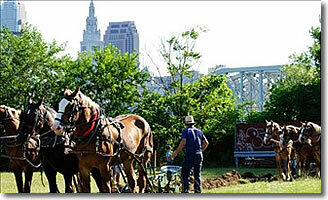 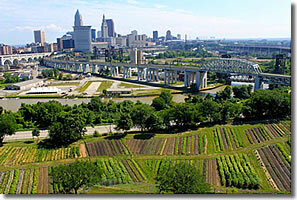 CMHA has participated in the City of Cleveland’s "Sustainable Cleveland 2019" initiative, a ten-year project initiated by Mayor Frank Jackson whose goal is to make Cleveland a sustainable city by the year 2019. 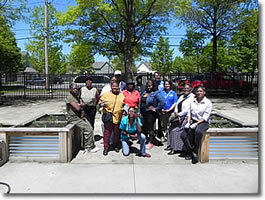 CMHA staff continues to go into the community to perform educational outreach and create awareness around what is happening at CMHA. 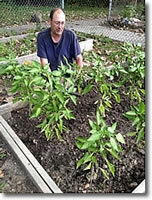 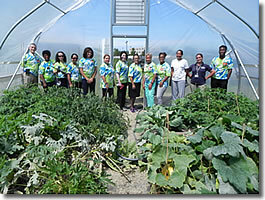 In 2016, CMHA employees began planting and harvesting produce on their lunch breaks in one of the two hoop houses located at the CMHA Administrative Headquarters. 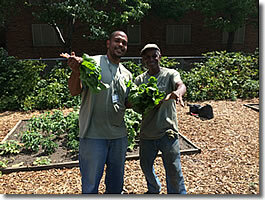 Employees donate 70% of the harvested produce to CMHA residents. 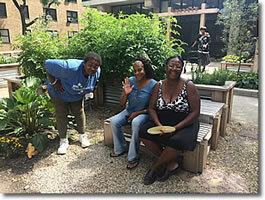 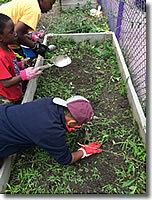 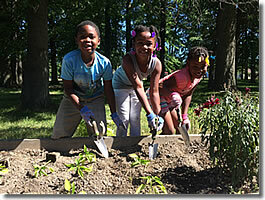 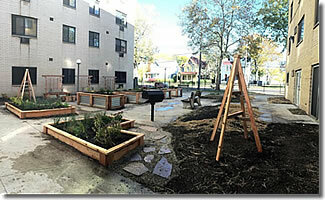 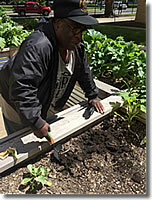 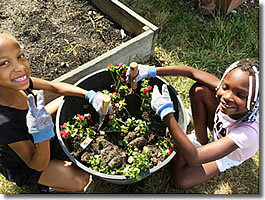 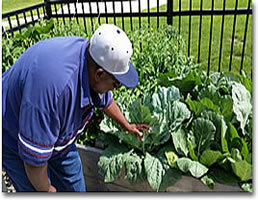 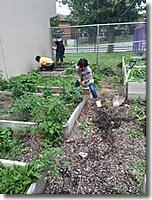 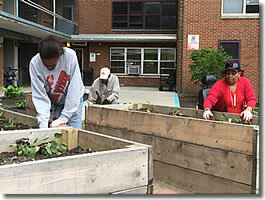 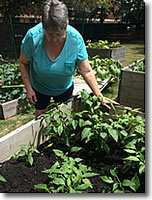 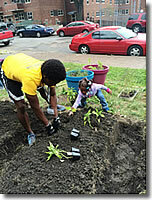 Employees also earn points toward the CMHA Wellness Program through their participation with the garden. 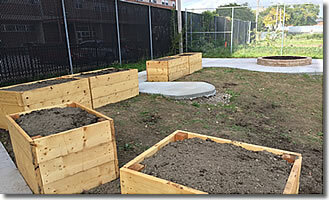 In 2010, CMHA, with community partners, decided to develop an unused plot of land behind the Riverview Tower building into one of the largest urban farms in the country. 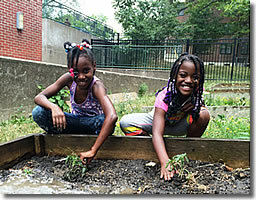 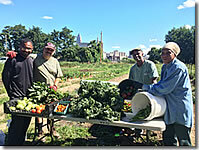 Years later, the six-acre farm has proven to be a neighborhood icon and a beacon of local food and sustainability. 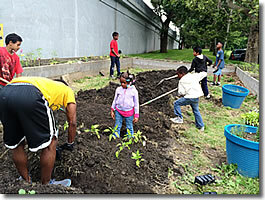 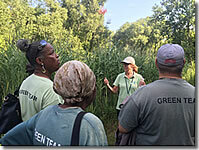 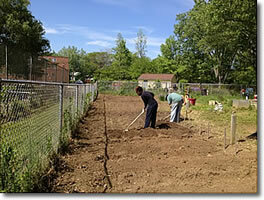 CMHA residents through the Green Team farm 8,000 sq. 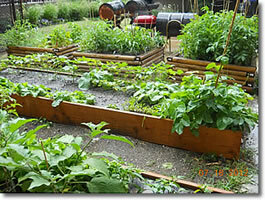 ft. of the garden. 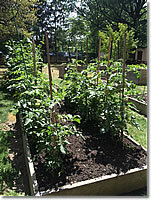 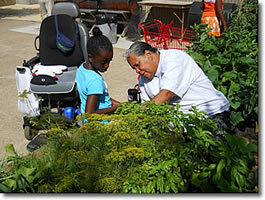 Residents also receive 50% off all produce sold at the farm stand. 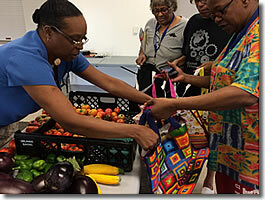 The farm stand also honors additional assistance programs such as Produce Perks (external link) and The Senior Farmers' Market Nutrition Program (external link). 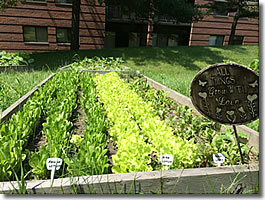 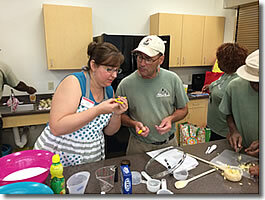 The farm partners also bring the farmers market into the building once per month for an event that includes a cooking demonstration to teach residents how to prepare the seasonal crops.